BMXRULES after i clean the kitchen i will have a beer. BMXRULES i need 2 go unload the dishwasher except i want too listen 2 more tunes. 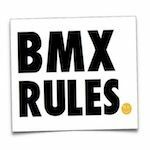 BMXRULES Bunny Hops and Smiles...Lets Go. BMXRULES what a beautiful day.